I use a variety of flakes, pellets, sticks, and frozen foods for my cichlids. While most of my fish aren’t overly selective, I have three adult calvus that are notoriously picky. However, one food that they eat with gusto is the CS Pro sinking sticks. They LOVE these things. If your LFS doesn’t carry this, encourage them to start doing so. In the meantime, you can order both the flakes and sticks from Aquariumconnection.com. 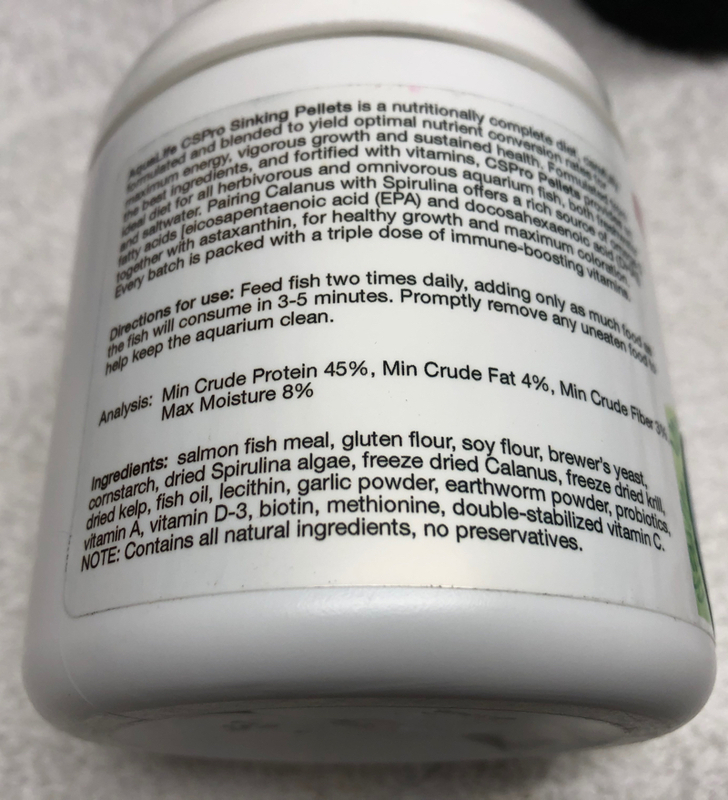 As you can see from the ingredient list in the photo above, five of the first nine ingredients are a mix of animal and plant proteins, including Calanus. CS Pro is one of only a handful of fish foods, in the US market, that contains this wonderful source of protein. Also, you don’t need to presoak the sticks if your fish are reluctant to eat some pellet foods that are too dense (i.e., hard). Unlike many compressed foods that I feed, my larger Tanganyikans don’t spit these out upon initial intake.